At the law firm of Buckfire & Buckfire, P.C. our bus accident attorneys represent passengers injured while onboard Greyhound buses. Our lawyers have significant experience in these types of cases and often file lawsuits for passengers of buses who are injured due to the negligent driving of the bus driver. We also represent motorists and passengers in other vehicles who were injured due to the negligent driving of a Greyhound bus driver. 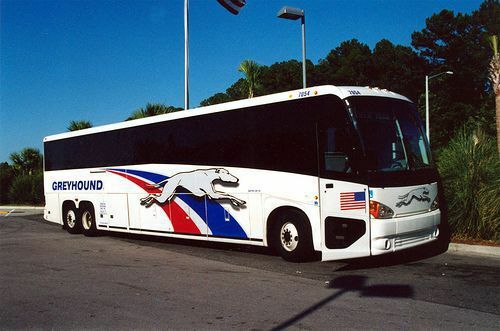 Greyhound is a nationally and internationally recognized bus company. During the course of a single year they transport almost 25 million people from place to place in the U.S. However, even though this company has a track record of excellent transportation, there is still a risk of accident while on board a large charter bus. They may not occur often, but accidents on charter buses do happen. As recent as January 2016, a Greyhound carrying 20 passengers departed from Los Angeles crashed on Highway 101 in San Jose, California. Two passengers were killed and eight others were injured. Investigators have ruled the accident to be the fault of driver fatigue. The bus company is liable to any passenger in the bus for injuries suffered from the negligent driving of the bus driver or improper maintenance of the bus. This means that a passenger injured due to the fault of the bus driver or company can sue for compensation. In addition to ordinary negligence, the company may have additional liability because it is a common carrier. There is a special law that imposes additional liability on transportation vehicles,that transport passengers for pay or a fee. These laws apply to buses, large passenger vans, and other motor vehicles. A passenger injured on a Greyhound bus can file a lawsuit against the company for injuries suffered in the accident. The lawsuit is typically filed in the county where the accident occurred. The lawsuit claims compensation for the injured passenger for the accident-related injuries. What should I do after a Greyhound Bus Accident? Victims injured in a Greyhound bus crash do have legal rights and should contact our experienced Michigan bus accident lawyers immediately to discuss your legal rights. It is important that you contact a lawyer right away, because the bus company may try to be in contact with you and have you sign documents and waivers so that you cannot sue them for your resulting injuries. This could be a huge mistake and devastating to your case. A bus company insurance adjuster may also try to take a recorded statement from you. We highly recommend you do not sign any documents given to you by Greyhound or speak to an insurance adjuster or investigator until you speak to our law firm. This will help protect your legal rights. Do I get Michigan No-Fault Benefits if I was an injured Greyhound Bus Passenger? Any passenger of a Greyhound charter bus or driver of another vehicle involved in an accident with a Greyhound bus is entitled to Michigan No-Fault insurance benefits. This means that regardless of who was at fault in the accident, injured victims can recover insurance compensation for their medical bills, wage and income loss, and more. You are entitled to these benefits even if you did not own a car or have your own auto insurance policy. You can receive this insurance benefits by filing a written application. This form should be provided to you by your insurance agent, or the adjuster assigned to your claim. However, if you are confused, our attorneys can help you file your claim for No-Fault insurance benefits. What is the Amount of a Greyhound Bus Accident Settlement? If there was a death in the bus accident, the surviving family members can file a wrongful death lawsuit. These cases seek compensation for the pain and suffering of the victim from the time of accident until death, the loss of society and companionship of the family members, loss of income and support, and funeral and burial expenses. Our attorneys will get the accident report and all of your medical records to evaluate your case and the settlement amount range for your case. We will discuss our evaluation with you and explain our thought process. We will then work hard to get you the best possible settlement for your case. We will discuss your case with you and represent you under our No Fee Promise. This means there are no legal fees whatsoever until we win or settle your case. Our attorneys have significant experience in these types of cases and a track record of obtaining sizeable settlements for our injured clients. Call today for your free, no obligation consultation. If you or someone you know was injured in a Greyhound bus accident, call our top rated bus accident lawyers now at (800) 606-1717. We will listen to your case and start working on it immediately.